1. Link back and thank the person who nominated you. 4. 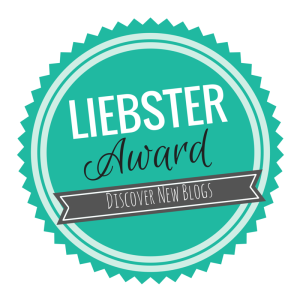 Nominate 11 blogs/bloggers who have 200 followers or less and give them 11 questions of your choice. 5. Notify your nominees and give them a link back to your post! Q. What is your favorite thing about blogging? A. My favorite thing about blogging is the fact that I can share things I love with other people who have the same interests. Q. What was your first pet's name? Were you the one who named him/her? A. My first pet was a dog name Pooch, I was really young at the time so I have no idea how we came up with that name! Q. What's your favorite place to online shop? A. Hands down Amazon. I can get anything I want and have it shipped right to my front door within days. Q. Sunrise or Sunset? Why? A. Sunrise, I like the idea of the day still being new and turning it into whatever you want. Q. What's your favorite accessory? Q. What's the best blog post you've ever written? Link it! A. I think it's my Talking Babies post, it shows a different perspective on what most people think is strange. Find it here. Q. What's your favorite breakfast restaurant? A. I'd really like to say somewhere fancy but it's just good old Dennys. Q. When it comes to decorating your home or space, what's your sytle? Q. If you could be anywhere right now, where would you be? A. On vacation somewhere warm! Q. What's the first thing you did today? Q. Who do you love most in the world? A. My husband, he's my best friend, my support system, my family, my love and so much more! 1. Do you keep a diary/journal? 3. What's something you find challenging? 4. Do you consider yourself brave? 5. What would you buy if you won the lottery? 6. Are you an organized person? 10. What's one hobby you have? 11. If you were an emoticon, which one would you be? Thank you so much for tagging me Kim! I will hopefully get around to posting this soon and will let you know when i do!